Sweet Romance Reads: My Winnings in Vegas—BOOKS! Last week, I attended my 12th RT BOOKLOVERS CONVENTION held this year in Vegas. I don’t gamble, so the casino atmosphere wasn’t appealing, but surrounded by free books, bags and swags, I couldn’t contain my giddiness. I mailed home three boxes of books that wouldn't fit into my suitcases. Oh, the joy of reading non-stop for hours, discovering new authors and intrigued by mesmerizing plot twists. Wait! I have writing deadlines, research to do and promotions to set up. Big sigh. Things are about to get creative if I’m to finish my upcoming release while reading Unoma Nwankwor’s He Changed My Name, oh and then there is Lenora Worth’s story in the Spring Brides anthology. Okay, what about Fried Pickles and the Fuzz by Calico Daniels? I feel a surge of energy. By the way, I give away a lot of my goodies: inspirational books to a community youth outreach ministry; a mixture of genres to a former coworker, family and friends, and if my boxes arrive within the next week, I would like to give away a bundle to a book-a-holic. Leave a comment and your name will go into my drawing. This offer ends Monday night at midnight CDT. Are you a voracious reader? How many books do you read in a week? If you’re an author, how do you get in your reading? Pat Simmons is an award-winning and national bestselling author with 30 Christian titles. 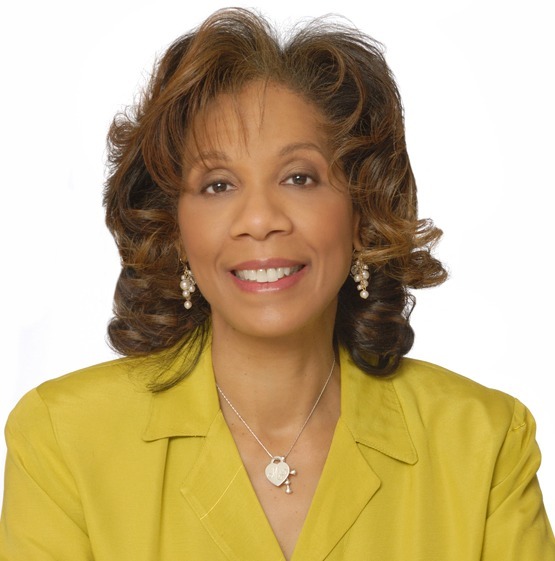 Her newest release is EVERY WOMAN NEEDS A PRAYING MAN. Look for JET in this spring and LOVE LED BY THE SPIRIT in the fall. 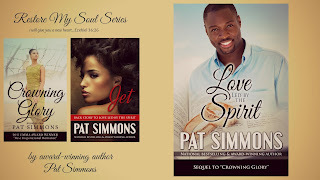 Learn more about her books at www.patsimmons.net. Labels: My Winnings in Vegas--BOOKS! Wow, sounds like book devourer heaven! I would love to have you put my name in the hat to win! What! If I can get one book in a week, I would be happy, but I wouldn't get any writing done. email me your address at authorpatsimmons@gmail.com and I'll put them in the mail this week. Pat, sadly my reading time has diminished considerably since I started writing. I do most of my reading when I'm traveling on an airplane or in a car when someone else is driving. We have several trips planned in the upcoming months, and I plan to do a lot of reading. When I travel, I'm still powering up the writing machine. Sounds like a wonderful time! I am a voracious reader. Sadly, it can become a bit of an addiction for me at times. In those times, I probably read on average 3-5 books a day. I've had to change that because I was reading way too much and neglecting some very important things; so now, it's probably around 2-3 a week. See, I have to wait until after my re-writes to indulge in reading, but re-writes could be three to four rounds. Pat, I've finally given myself permission for reading at bedtime--approximately a book per week. I think reading good books helps me be a better author. I don't read as much as I used to, either, but I'm trying to meet my reading challenge on Goodreads. I do most of my reading at night, but unless the book really hooks me, I'm yawning after about fifteen minutes. Sometimes sooner! I also read at bedtime, and also have discovered audio books, which I listen to while getting dressed in the morning. So, I "read" approximately 2 books a week, although I wish I could read more!